There are many reasons why someone would be interested in setting up a water well on their property in Macomb County. One reason, in particular, is that they’re in a relatively remote area. Think of a farm that may not have access to more common water supplies. They definitely need a reliable water source to use for their daily operations. Setting up a water well is a straightforward process, but it requires time, planning and expertise. In fact, installing a well is almost impossible to do without assistance from professionals. If you’ve been thinking about getting your own water well, here are a couple of things to remember. Water wells in Macomb County need preparation. Depending on the condition of the property, installing a water well may take more than a day. Make sure you’ve set aside the time and resources for the project. Since contractors will be working on your property, you want to be available if they need anything from you. If you wish, you can even supervise the drilling and installation process to make sure your requirements are met. Water well drilling in Macomb County should always be done by professionals. It may be tempting to try and do this by yourself or with your own team but do note that this should be done by trained experts. With the help of trained professionals, you can avoid mishaps and save yourself from the cost of correcting them. Additionally, once they’re done with the drilling, the work will be insured so that any issue that arises will be addressed. Water wells in Macomb County require maintenance. Once the water well is setup and ready to use, keep in mind that it will still need some maintenance. Every once in a while, you’ll need to have your water well system checked to make sure everything is in proper working order. The pipes, pumps, filters and everything else must be inspected. Luckily, this is a simple and easy process. The company you worked with for the installation will most likely be the ones you go to for maintenance checks. They will keep your system functional so that you can continue to enjoy your personal water well. Water well modifications in Macomb County should be approved by experts. It’s not a good idea to modify the water well system on your own. Other than the risk of damaging the system and needing repairs, there are regulations that you have to follow. Your system should only be serviced by certified well drilling professionals. They’re the only ones that have the qualifications and credentials to do the job. Water wells in Macomb County are good investments. Apart from the initial investment, you only have to put money on its maintenance. You can enjoy all the benefits and perks from this water system for many years. By controlling your water source, you can ensure that it’s clean, safe and always available. And you won’t have to worry about monthly water bills, either. 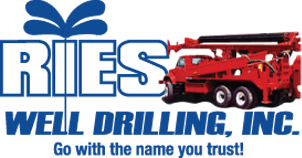 If you want to know more about getting a water well installed on your property, get in touch with Ries Well Drilling. They’ve served the water well needs of Macomb County residents for over 30 years. Call them today at 586-784-9516.